SIG SAUER, Inc., headquartered in a 206,000 sq. ft. state-of-the-art facility at Pease International Tradeport in Newington, New Hampshire, is the world’s most renowned manufacturer of firearms. A dedication to superior quality, ultimate reliability, and unmatched performance has made SIG SAUER® pistols and rifles the firearms of choice for responsible citizens and many of the world’s most elite military, government, and law enforcement units. 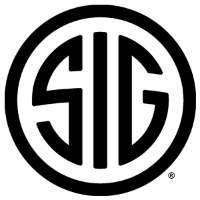 An ISO 9001:2008 certified company, SIG SAUER is the largest member of a worldwide business group of firearms manufacturers that includes SIG SAUER GmbH & Co. KG in Germany and Swiss Arms AG in Switzerland. In addition to manufacturing an extensive and renowned line of pistols and rifles, the SIG SAUER product portfolio also includes SIG SAUER Elite Performance Ammunition; SIG-SD Silencers; and the SIGTac™ line of tactical accessories that include polymer holsters, tactical sights, lights, and lasers. SIG SAUER also operates a world-renowned training facility, the SIG SAUER AcademySM in Epping, New Hampshire. The Academy’s 140-acre campus features 4 indoor classrooms, and more than 20 ranges, including a state-of-art indoor range, a 9-bay competition/tactical training complex, and a 1,000-yard rifle range. The facility also includes the 2,000 sq. ft. SIG SAUER Academy ProShop showcasing the complete line of SIG SAUER pistols, rifles, ammunition, silencers, and SIGTac accessories. Unparalleled design expertise, extensive manufacturing capacity, continuous innovation, and a relentless dedication to excellence are driving forces behind the worldwide success of the company, and why SIG SAUER is the brand of choice, when it counts. Email me jobs from SIG SAUER, Inc.